The 2018 Bursary Application form requires an additional step. 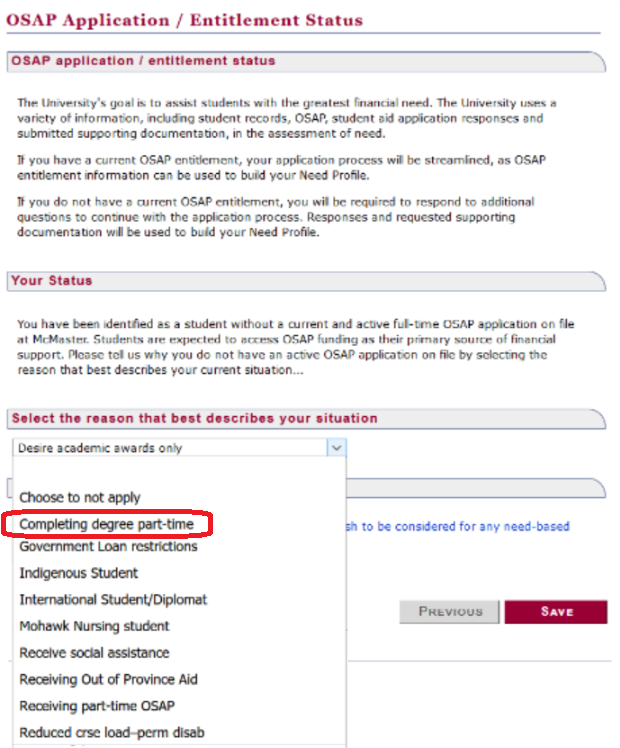 Part-time students applying for the bursary must fill out a new OSAP-information form. Students should select the “Completing degree part-time” in order to continue their application.